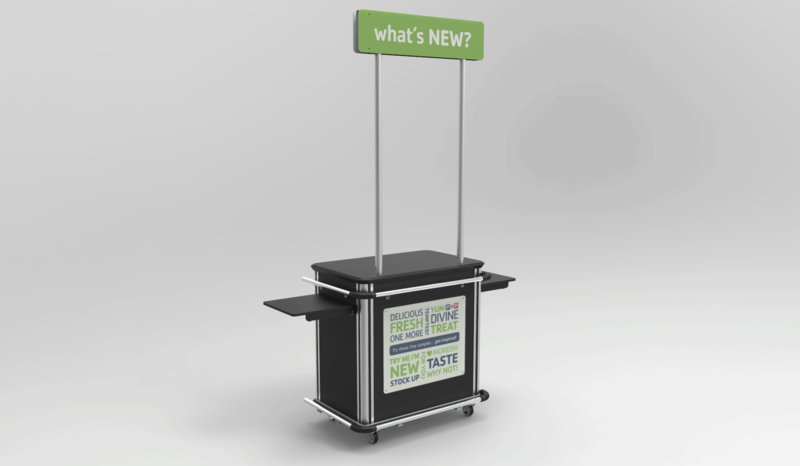 The activation carts were developed to align with the Pick ‘n Pay (a South African retailer) in-store corporate identity. 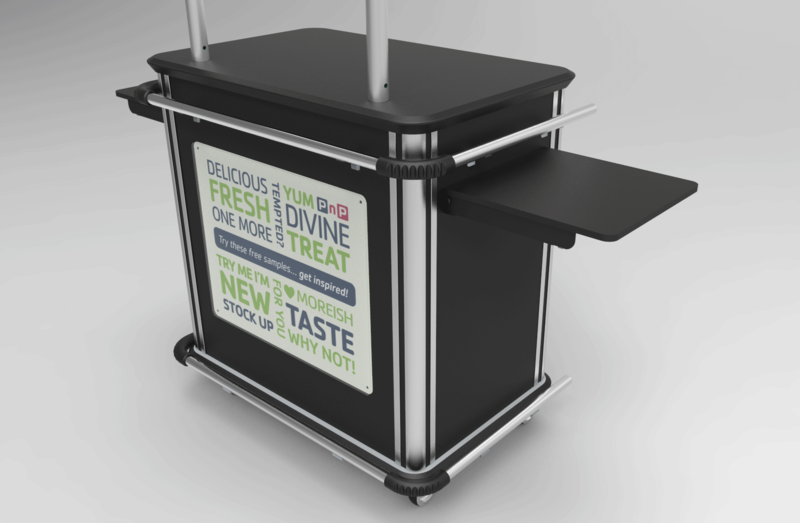 The carts are used in over 100 stores across South Africa to promote/sample various food products during peak shopping hours. The trolley is designed using Project Room’s proprietary “modular aluminum extrusion”. 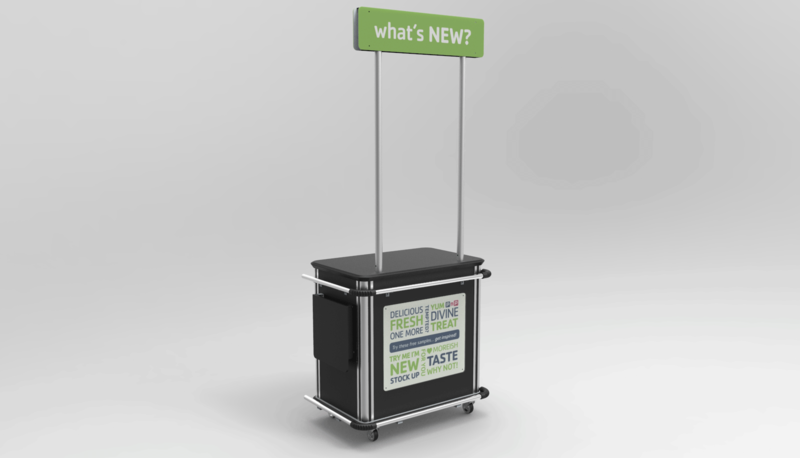 This allowed us to make the trolley look aesthetically different to other promotional devices in-store. The trolley is tough, reliable and hardwearing with Birch plywood panels and heavy-duty wheels to ensure longevity and resistance in the harsh and fast-paced store environment. 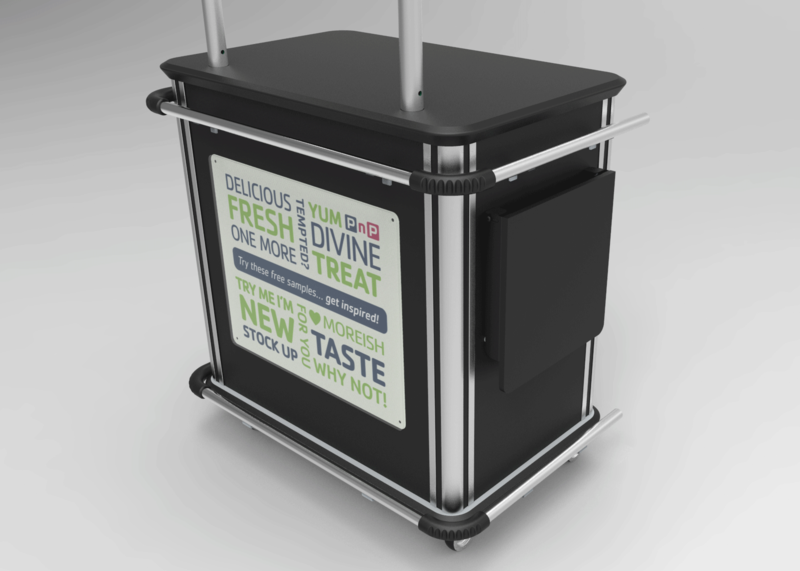 Interchangeable branding features allow various messages to be displayed to align with brands promoted in-store. Fold-down shelves and lockable storage. The product is best described as portable, practical, functional and reliable.